Search for Versailles, KY farms for sale. Experience the diverse lands of Versailles. Discover sprawling open pastures and beautiful wooded lands. Indulge in the seclusion of hilly regions near the Kentucky River or get to know your neighbors closer to town. Versailles will impress even the most discerning of buyers. The majority of land in Versailles and Woodford County benefits from prime grazing soils fit for horses of all breeds. Versailles has become a prominent participant in the saddlebred horse industry, and numerous horse farms have been drawn to the city's quality soils. Ashford, Hopewell, Lane's End, Margaux, and WinStar are just a few of the major horse farms to grow roots (and champions!) in Versailles, KY.
View basic Versailles farms below, or read more about amenities near Versailles farms for sale. Located just outside of Lexington, farms for sale in Versailles, KY offer fantastic acreages and lots, varying greatly in price and size. Both multimillion dollar estate farms and starter hobby farms can be found in Versailles, allowing for ample flexibility for interested buyers. The majority of Versailles land is complete with an on-site home, although some vacant lot opportunities can be found as well. Versailles is home to some of the most affluent properties in Woodford County. Find multi-million dollar palatial estates that unfold over several thousand square feet and feature every luxury amenity. With gourmet kitchens, grandiose staircases, and handsome fireplaces lighting rooms with a warm glow, it's easy to fall in love with one of these impressive estates. Bathrooms boast comfortable soaker tubs and wrap-around porches provide the perfect space to relax in the sun and enjoy an expansive view of the rolling hills and mature deciduous trees that make up your property. At the middle of the market, explore properties that range from $200,000 to $500,000. Located on a few dozen acres, these large parcels of land are perfect for those who wish to keep a stable full of horses. In fact, many of the properties in Versailles come with stables on the property already. If you love horses, you'll be impressed by the range of onsite amenities many of these homes have. 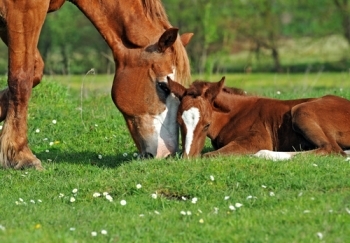 Enjoy fenced paddocks where your horse can race about in the afternoon and munch on grass. Make use of bull pens where you can train young fillies and colts. On the low end of the market, find one or two acre lots just waiting for development. For less than $50,000 you could invest in a piece of land in Versailles that you can transform into your dream property. When you choose to build your own home, the options for creativity are limitless. It isn't a coincidence that Versailles shares a name with the famed French palace. The community was named in honor of the French people's assistance during the American Revolution. However, unlike in France, the Kentucky Versailles is pronounced "ver-SALES". The theme of French-named places can be found throughout Kentucky, in other communities like Paris and Bourbon County. Residents of Versailles love living here for the city's clean environment and safe atmosphere. This city has a strong sense of community and a lower cost of living compared to the rest of the country. Additionally, the distilleries and wineries are popular among adults. Wildside Winery offers a selection of about 30 wines and initially began as an organic fruit farm before owners Neil and Rachel decided to undertake the adventure of winemaking. There's also the beautiful Castle Hill Winery, which is a popular destination for weddings and special events. Horse enthusiasts will be delighted to know that Versailles is the birthplace to many of America's finest thoroughbred and standardbred racehorses. 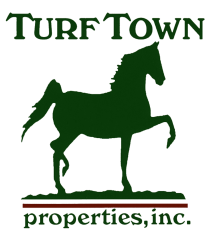 In fact, there are more than 20 thoroughbred farms in the area.